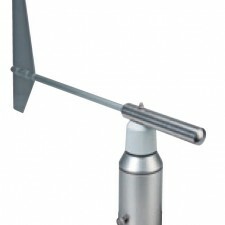 The Classic series of wind transmitters are designed for applications where accuracy and reliability are paramount. 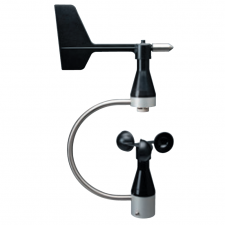 The Classic Combined Wind Sensor measures the horizontal wind speed and direction with an analogue output which can be transmitted to a display, recording instrument, data logger or process control system. For winter operation the sensor is equipped with electronically regulated heating to guarantee the smooth running of the ball bearings and to avoid ice formation on the body. The housing is made of anodised aluminium for good corrosion resistance and long life. Labyrinth seals and O-rings protect the sensitive internal parts from precipitation. The instrument is designed for mounting to a mast tube and the electrical plug connection is situated in the transmitter shaft.